Please note that our online shop will be closed between 1 and 17 April. You can still order but your products will be delivered on 20 April. We are a Scottish registered sports charity (Charity number SC040232), whose aim is to further safety, health and well being through the means of a well known traditional Chinese martial art - Wing Tsjun Kung Fu(also spelled Wing Tsun or Wing Chun). 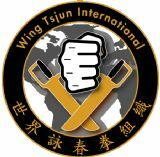 Whether you want to improve your health and wellbeing, learn how to protect yourself, or simply find a fun and challenging new activity, Wing Tsjun is an excellent choice. Combining traditional Chinese Kung-Fu and modern training methods,the lessons are exciting for the mind and good for the body. We regularly hold classes throughout Scotland for all ages and abilities - we are passionate about perfecting our art and aim to make every session, fun, interesting and motivational.Check our various locations, days and times and book a free trial lesson . 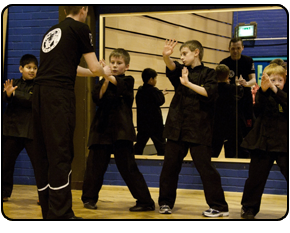 We also work in partnership with schools to deliver self defence courses . Let us know if you are intersted in hosting such courses and activities. We work together with other organisations like Glasgow Sport , Young Carers , and other groups to organise and deliver courses for fitness, wellbeing , Chinese arts, self defence for women , self defence for youths , etc. In October 2018 we started delivering regular women's self defence classes for women , with support from the National Lottery . They take place at our headquarters in Glasgow every Wednesday at 7-8 pm and every 4th Sunday . For information about the international activities, please visit the Wing Tsjun International site. Speak to one of our professional trainers today who will be happy to answer any questions you may have and notify you of your nearest Wing Tsjun class. If you would like to become a Wing Tsjun Kung Fu instructor please let us know and we'll arrange an interview.